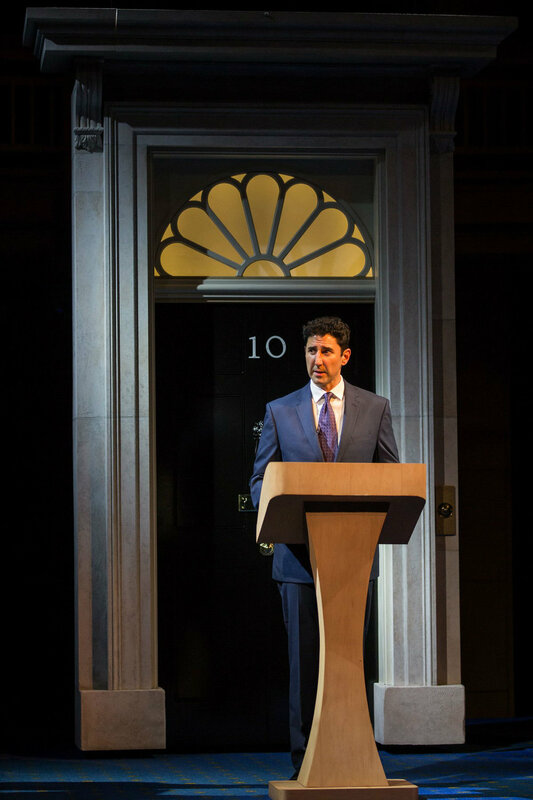 A copy of the lectern used by the UK Prime Minister. 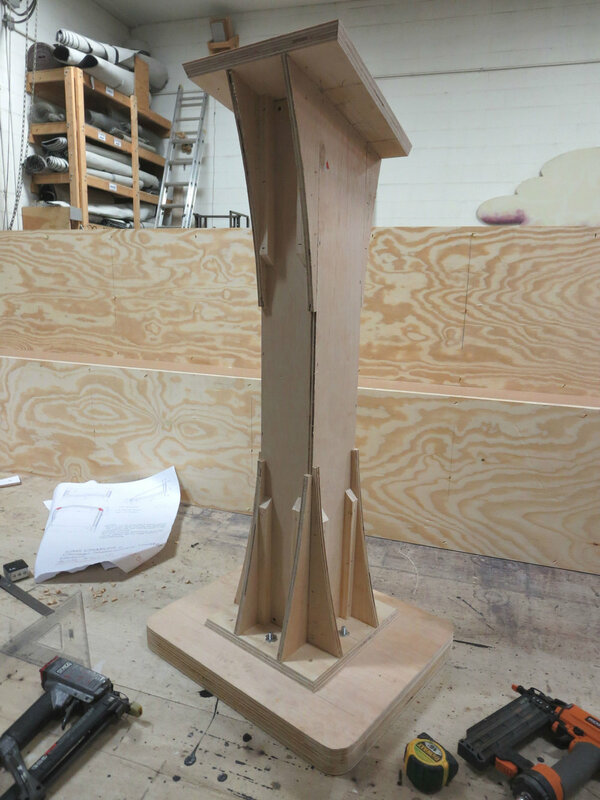 This piece was built in three separate parts (base plate, column and top surface) to make veneering easier. The base was two pieces of 3/4" laminated to each other and connected to the column via T-Nuts and bolts. 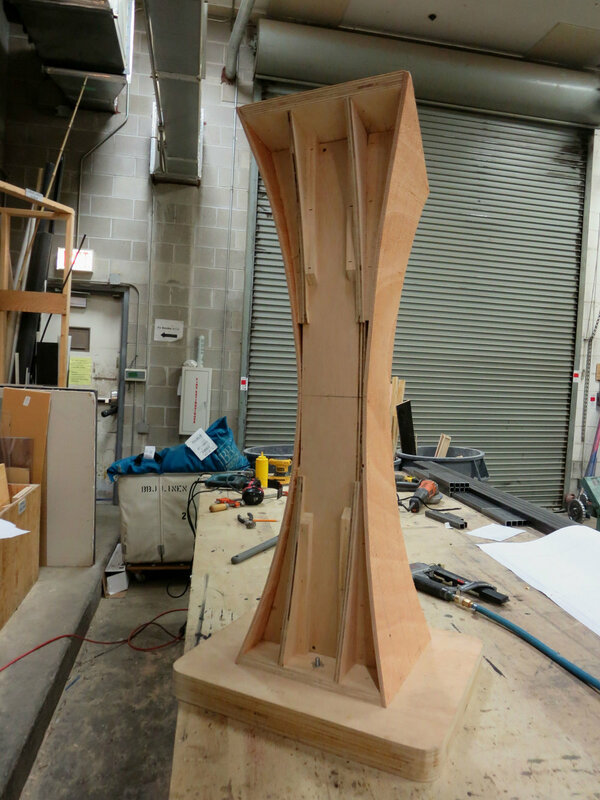 The column was built around a tall and narrow 1/2" plywood box which had four "fins" coming off of each side. These fins established the desired curvature for all four faces and was also a surface for the bendy plywood to be attached to. One of the trickier elements of this project was to figure out the exact profile the bendy plywood needed to be cut to. Using research photos I was able to extrapolate some key dimensions from the lecterns side; specifically the top, bottom and middle widths. Putting these key dimensions into AutoCAD, I was able to make a template that could be printed out and applied to the column. Any changes that needed to be made to this profile could be done easily by either cutting paper away or adding tape. The finished template was used to cut both sides out of bendy plywood. 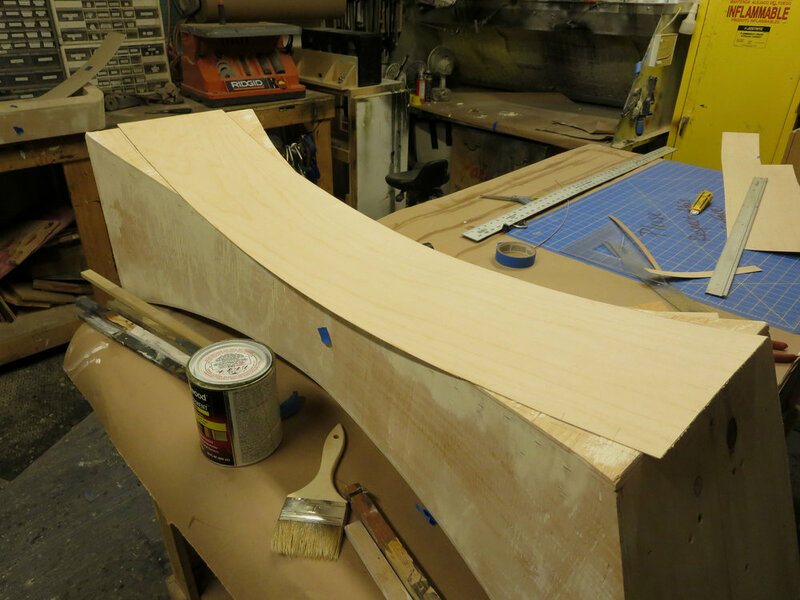 For the front and back pieces, establishing the profile was done by simply laying bendy wood on the connected sides and tracing it's profile with a pencil. 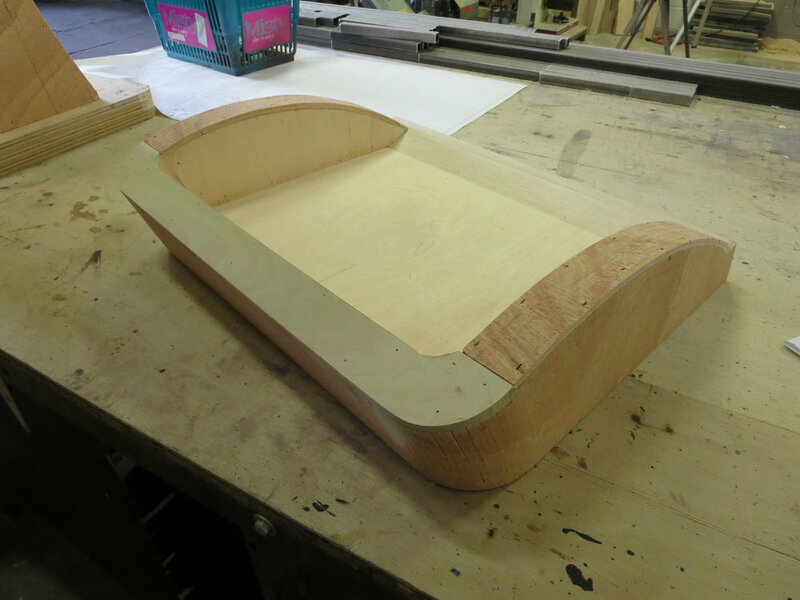 The structure for the top surface was built from 1/2" plywood and poplar, the front was wrapped in bendy plywood. Maple veneer was applied to the entire piece with 3M Dap Contact Adhesive. The sheet of veneer was book matched with each panel about 7 1/2" wide, so it was necessary to find complimentary grain patterns within the sheet to line up at the seems to create a smooth transition. The veneered piece was stained and sealed.